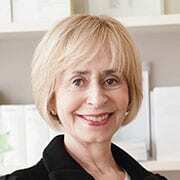 alongside a medical doctor and teaching for a renowned skincare company. 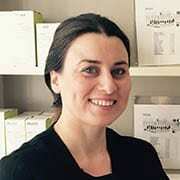 Her passion and speciality lies in skin health. 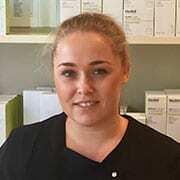 Charlotte has a great knowledge of the skin, and will go above and beyond when treating her clients. She loves seeing clients happy and more confident about their skin, and loves achieving great results. in medical aesthetic treatments, being trained by a renowned plastic surgeon in Harley Street, and developing her own successful practice. Julia is very passionate about providing the highest standard of clinical excellence, using the most up to date techniques and continual professional development through training. and hard working, and loves being a beauty specialist. 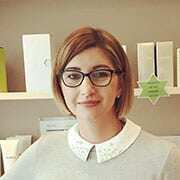 Rebecca previously worked for Cowshed Spa and in spas in Europe, and is highly confident in performing a wide range of treatments. 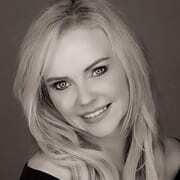 Rebecca is passionate about providing a high level of customer service and care to ensure an over all client satisfaction. and bubbly personality, she covers a variety of treatments, including Bio Sculpture gel nails and Lycon advanced waxing. Ruby prides herself in offering a confident and professional service where all her clients feel comfortable and relaxed in her hands. She finds the most rewarding aspect of her job is making her clients feel good about themselves, by the time they leave the clinic. 10 years in the beauty industry. She prides herself on making clients feel relaxed, comfortable and completely satisfied with their visit to Cranwell House. Carly joined Cranwell House in 2018. She joins us with 15 years in the skin and beauty industry. She has had a number of Front of House roles for prestigious hair and beauty companies, as well as practising and teaching beauty. Carly enjoys all aspects of the industry and is very passionate about helping people. She is very keen to ensure all clients have a pleasant experience at Cranwell House. Mary joined our Front of House Team in September 2018. Mary’s background is in the financial services environment, leading a small team. Mary is highly organised and an enthusiastic person with a professional attitude. She ensures all clients receive the best possible experience at Cranwell House. 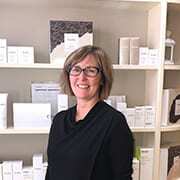 Tracey is a Senior Skin Specialist and Therapist at Cranwell House, joining the clinic with 18 years experience in the beauty and aesthetic industry. She has previously worked in prestigious beauty salons and clinics in London. 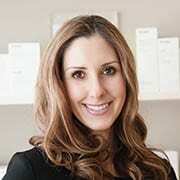 Tracey is friendly and approachable, taking pride in maintaining high standards of all beauty and advanced skin treatments. based in london, Knightsbridge and Harley street working alongside surgeons, doctors and nurses. 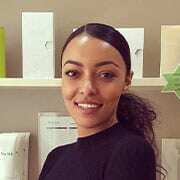 Kineta is extremely passionate about the beauty and aesthetics industry and is very keen to learn, keeping up to date with the fast moving industry. 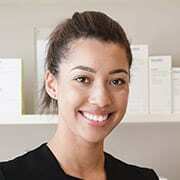 She always ensures she provides a 5 star client care in all aspects of beauty and advance skin care.